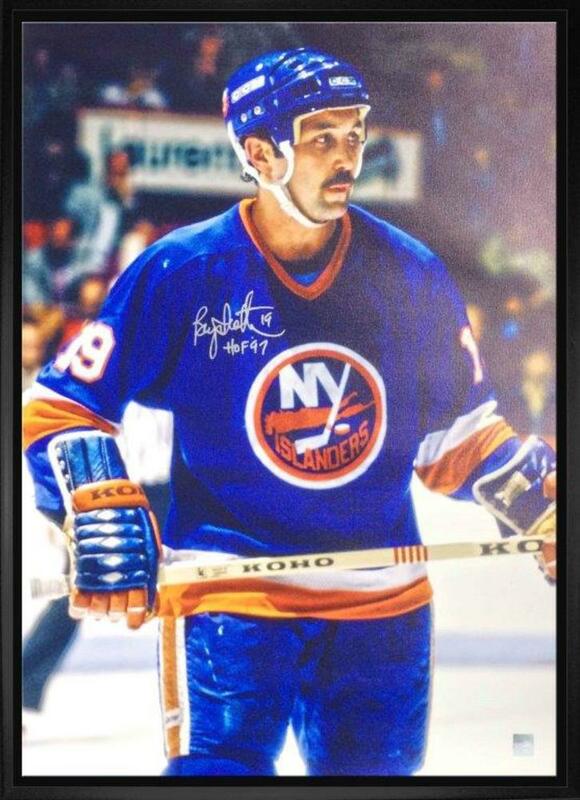 This canvas was personally autographed by six time Stanley Cup winner, Bryan Trottier. Trottier played 18 years in the NHL, 15 for New York Islanders and 3 for the Pittsburgh Penguins. Trottier won 4 of his Stanley Cups with New York and 2 with Pittsburgh. This piece includes an inscription "HOF'97". The image has been printed on to high quality art canvas and is professionally stretched and mounted on the back of a 3/4" deep wooden frame. A Frameworth hologram and certificate of authenticity are included to ensure the legitimacy of the signature. Frameworth is an official licensee of the NHL & NHLPA. Frame Size: 22x31".